A few weeks ago, I placed a project on Donors Choose, a website created to help teachers get funding for their class projects. 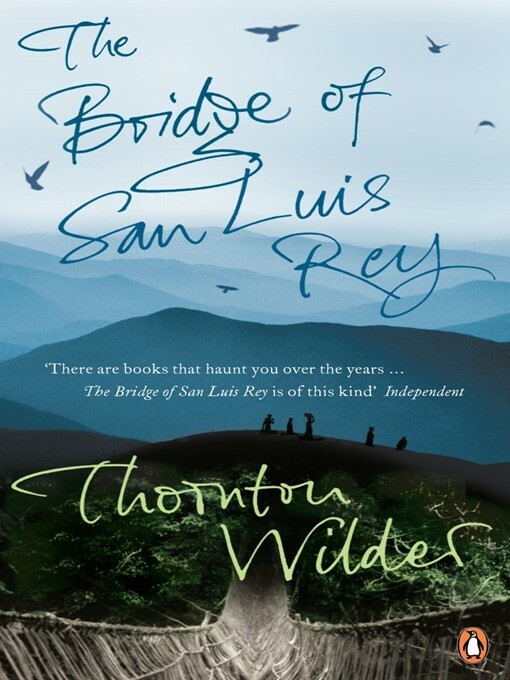 I requested copies of Thornton Wilder’s The Bridge of San Luis Rey. Our school has some copies, but this year, we changed our scheduling completely, and I now have double the number of students at a time. This means that we only had half enough of many of the novels we read. The Bridge of San Luis Rey fell into that category. But not any more! I just received word that our project request has been funded! The sense of gratitude I feel at this generosity is overwhelming. As teachers, it is easy to fall into a cycle of negativity. We start throwing ourselves little pity parties. (I’ve hosted a few of those.) In fact, this year has been particularly difficult for me. I just haven’t felt that I’ve been able to be as effective as usual; I haven’t gotten to know the students as well as I want. As I mentioned, my number of students per day has doubled, which has myriad ramifications. (Something that didn’t double, or even appreciably increase was my paycheck, though.) See, I’m about to start stocking up for that pity party right now. This is why it is so important to have a supportive community. This is my first year blogging, and I have found so many colleagues here online to provide advice and support that I never would have found otherwise. This is not to say at all that I don’t have supportive colleagues here, but can a teacher have too much support? Opening myself up to a literal world of teaching experts has had a tremendous affect on my teaching in a few short months. I learned how to use Twitter in my classes. I discovered some great online assessment tools. I’ve found so many great ideas that I haven’t had time to try them all this year yet! Now, I’m seeing a concrete effect as well. I learned about Donors Choose through a link on Twitter. I investigated, and now, my students have books! The word had already come down: We did not have the money to purchase this set of books this year. If you’re a teacher who is hesitant about plunging into the world of online education communities, I urge you to jump in. Don’t cut yourself off from the great ideas that are out there waiting for you, from people who will help you, from the knowledge that you are supported. How does your online community help you!